This entry was posted in comparison, competition, competitive spirituality, guru, spirituality on 15 March 2016 by Martina. I recently had a conversation with someone who seemed to be trying to show me that their spiritual study was more advanced than mine by telling me something they knew and thought I didn’t know…in a somewhat condescending preachy way. At the time, I was taken aback by the tone in their language as they tried to point out this deep understanding that they thought was theirs alone when I shared that I had gained a similar understanding. It felt like a virtual pat on my head accompanied by a “there, there,” as if they couldn’t quite believe that I had also grappled with this question and information myself. 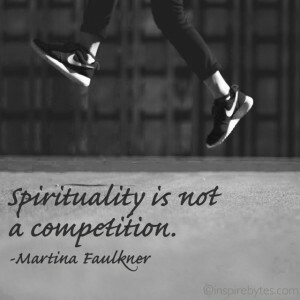 Spirituality is not a competition. It’s not a race. There is no great “finish line” in the sky or hierarchical set of milestones on the spiritual journey. We each have our own paths and our own measurements along the way. Heck, we even have our own timers and starting points. We, ourselves, get to design, follow, and seek out the spiritual curriculum of our lives. For some that follows a more pre-designed path, and for others it can feel like a wild goose chase. There are even paths that are laid out by following crumbs, not to mention the countless other ways people pursue faith and spirituality. All of which are equally valid. Our journeys are varied, and no one journey is more important or more advanced than another. They’re simply different. The teacher often becomes the student, and vice versa, because we are all sharing the knowledge of what we have individually understood in order to foster connection. Connection with each other, and connection with Source. It’s somewhat easier to understand Competitive Spirituality when talking about “gurus” or “teachers,” because there is an identifiable role. But what happens when it’s a friend or family member? An acquaintance or a classmate? 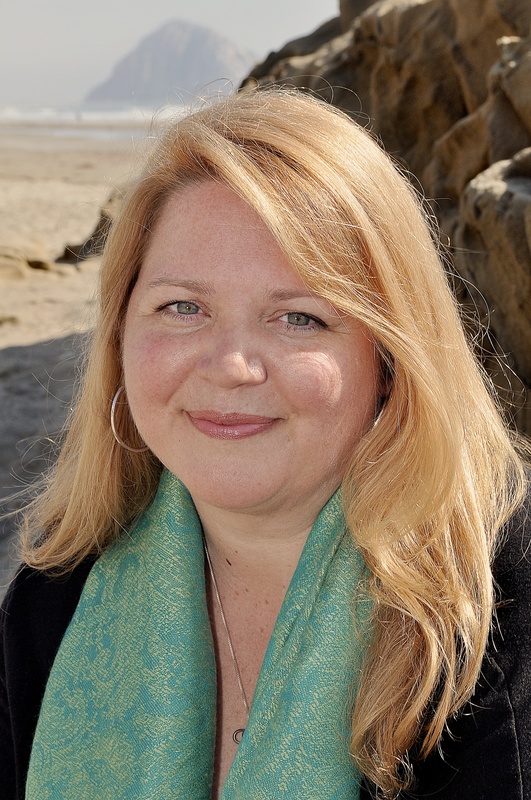 Why do some people feel the need to one-up their neighbor in spiritual pursuits? It would be easy to say it’s ego, but I think it’s more than that. I think ego combines with our natural desire and inclination to reconnect and “know” who we are and where we came from, in order to make sense of it all. It’s an existential question that has intangible answers, which leaves us in unknowing and therefore trying to set up some sort of system or measurement, resulting in competition. unknowing – remembering – knowing – understanding – questioning – and unknowing, once more. It’s this process that develops our faith muscle, which is the source of spirituality. When faith becomes a knowing there can be no measurement, no competition, only the desire to remember more, for remembering’s sake. And then, ultimately, to help others who cross our path and continue on their journey as we continue on ours. Perhaps what matters most, therefore, is understanding the simple truth that spirituality is not a competition and then choosing to live our lives from that perspective. We accept that our knowledge and experience is not better than anyone else’s, it’s different. As it should be. Because, at the end of the day, if we all consciously knew everything at the same time, how could we help each other or undergo experiences to learn and grow within ourselves, and collectively as a society or community? If all paths were the same, traveled at the same time and pace, how would we experience feelings of joy or sadness? Triumph or failure? We would lose what it would mean to be human, which means we would also lose our inclination to reconnect with each other and Source. Our nature would be lost; we would be lost. So, for me, even though I was vexed by the interaction, I had to see it for what it was and then choose a different way. It became an opportunity for me to validate and remember my own path. What a gift! Spirituality is never a competition. And… if we make it into one, we are lost.